I&apos;m calm. I swear. Are you? I&apos;m sure the Lakers will be fine; it&apos;s only a two-game skid (and 12th consecutive loss) and this team still needs to get the chemistry issues worked out along with this new offensive system. Just keep your britches on Lakerland. And, on that note, welcome to the Bullet Passes. I hope you all are enjoying your first two days of the season so far. There have been some top quality games and performances and we are going to revisit some of those today. We are also going to touch on Eric Gordon again because this situation is getting a little weird. You know what else is weird? LeBron&apos;s hairline; it&apos;s borderline crop circle mixed with some type of tribal tattoo. It confuses me, and I am not sure how I should feel about it. Shave that crap off already. All the great ones did. Crap, I honestly don&apos;t know where to start. Maybe with something funny, like Uncle Drew. In case you young bloods missed the premiere of this new Kyrie Irving commercial, I have brought it here for you. Oh yeah, Bill Russell and Kevin Love are in it, too. This one is as good as the last one to me, even though Love seems to come out of character at times. I just want to see who is on the rest of this team of pseudo-geriatrics. *People have been wondering what the Chicago Bulls were going to do without Derrick Rose. Easy, go to Joakim Noah for 23 points, 10 rebounds, 5 steals and 3 blocks. *Oh and by the way, Tim Duncan is still alive and apparently has some game left in those old legs. Game to the tune of 24 points and 11 rebounds. *Speaking of Tim Duncan, apparently, the big man paid Brent Barry to kiss David Stern. And now Stern&apos;s retirement can commence. Sealed with a kiss, of course. *You know that James Harden guy that got traded to Houston because the Thunder didn&apos;t think he was worth more than $54 million over four years? Well that guy just dropped 37 points, 12 assists, 6 rebounds and 4 steals to start of his season. Oh yeah, he also just inked a five-year, $80 million contract extension. Yup, and he might just be worth every penny of it. *Speaking of contract extensions there have been a lot lately. So here are the ones that happened in the past few days. Kelly Dwyer over at Ball Don&apos;t Lie has his ratings on the latest contract extensions. Pretty interesting read and pretty spot-on. Jamal Crawford did something nasty to Rudy Gay last night. Time to invest in some ankle insurance, Rudy. 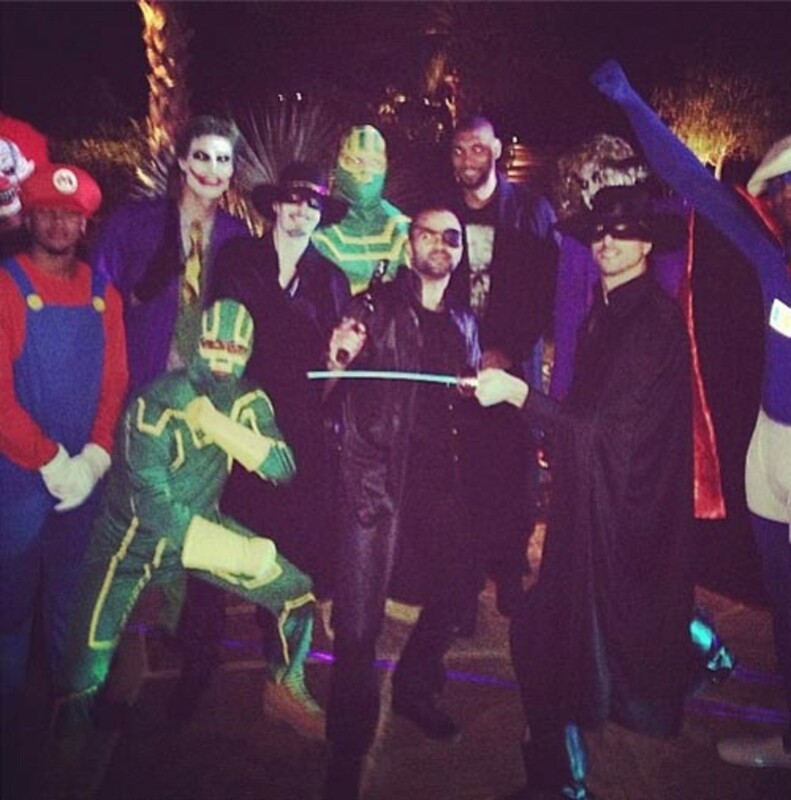 Obviously, last night was Halloween and you know that some of the players had their outfits in full effect leading up to this night. Here are a few of the best shots. 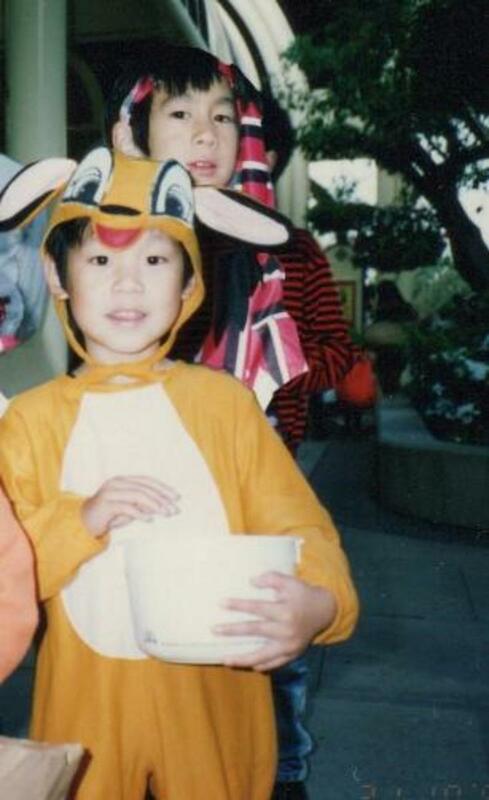 A little Jeremy Lin. No, really, like a tiny Jeremy Lin. 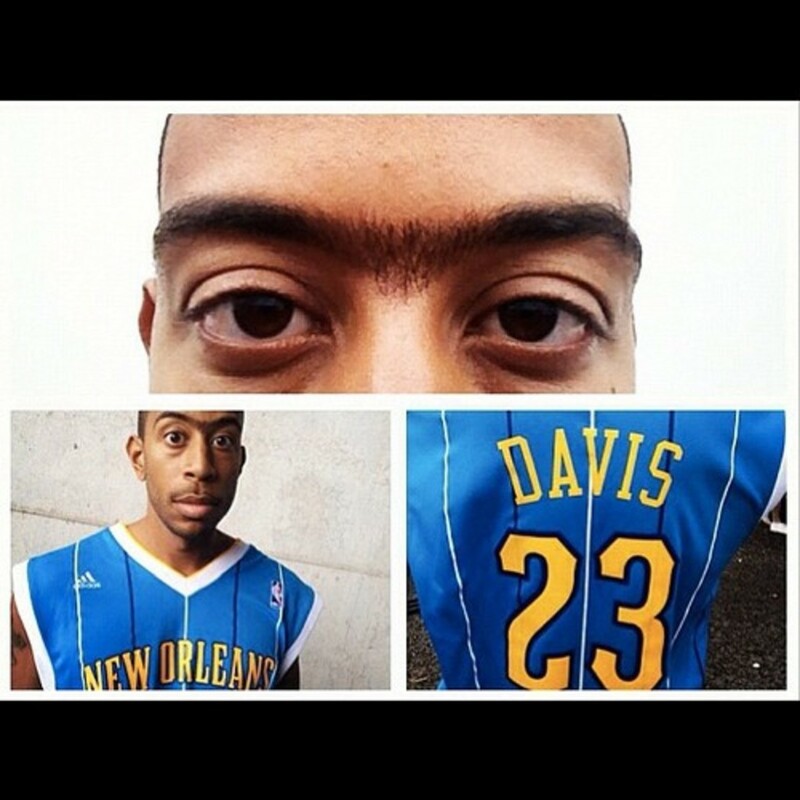 Anthony Davis ... er ... Ludacris as Davis. Eric Gordon is uhm out ... indefinitely, which is weird because there is nothing wrong with his knee structurally. Even weirder is Gordon alluded to the fact that he may not play again this season yesterday. Starting to wonder if Gordon wants to play ball at all, or if it&apos;s just that he doesn&apos;t want to play in the Nola? If you are a team and one of your beloved players gets traded away, you mourn, right? And when he returns to play against you, you cheer for him, especially when he writes a letter telling the fans how much he appreciated them. Right? Not if you are Philly. As you will notice below, the Knick-Nets game has been postponed (UPDATE: Postponed to November 26!) due to damage done by Sandy. We have the official word on it here for you. We hope N.Y. gets back to normal soon though. There is a lot of ball to be played. I guess you will have to find out! Have a good one. VIDEO CREDITS: 1) Pepsi. 2) Hardwood Paroxysm. PHOTO CREDITS: 1) Internets, I&apos;m sure. 2) Jeremy Lin&apos;s Twitter. 3) ??? 4) Stephen Jackson&apos;s instagram. 5) ??? Payton Wales is our loopy TNLP scribe in charge of links. Catch his writing at TheProBasketballTalk.Com and follow him on Twitter at @PaytonWales.